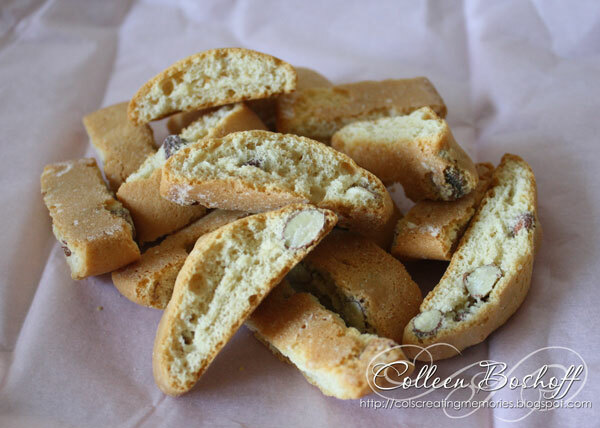 Col's Creating Memories: Tea and Biscuits - Anyone? This month Whiff of Joy's summer stamp kit with the theme "Jane Austen meets Charles Dickens" will be available from tomorrow in Digi. They are gorgeous and I have been playing with a few, can't wait to play with the rest! 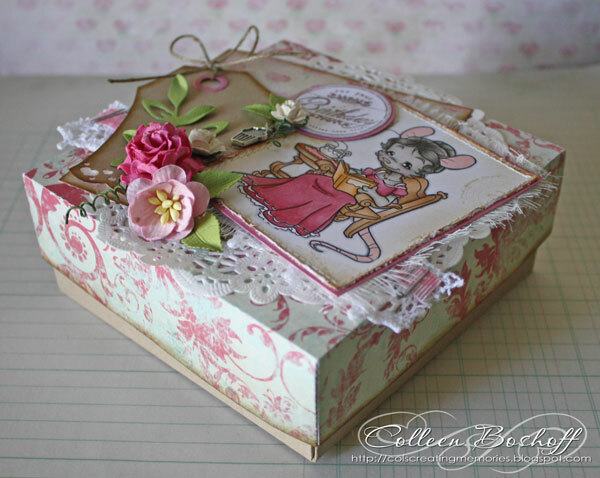 This is Vintage Lady Mouse Drinking Tea, I decided to create a little box filled with some yummy biscuits. This is a lovely idea to give to someone for their birthday especially when you are joining them for some tea and cake! I have used lots of Whiff of Joy goodies here, the stamp, the Sweet Hearts tag and Leaves die, twine and did you see the little cupcake charm? Love their new charms! 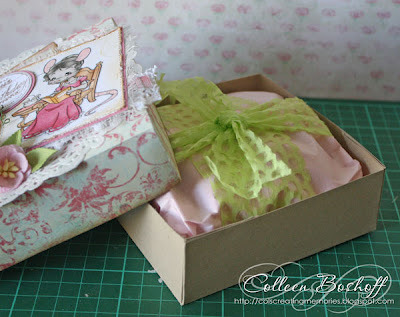 I have a little tutorial at Whiff of Joy's World of Ideas Blog, if you wanting to know how I made this box. Pop the biscuits into some tissue paper, wrap a some ribbon or lace around it and pop it into the box! 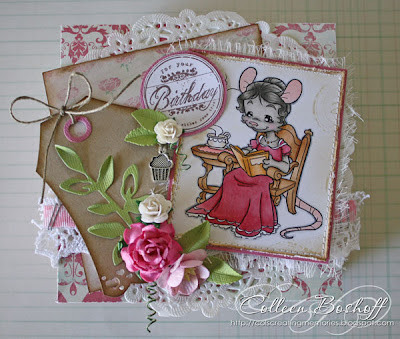 Don't forget our blog hop tomorrow with some prizes to!!! Thank you for stopping by and have an awesome weekend. What a lovely box, fantastic work..looks great! And de Biscuits looks very delicious!